The pool hall experience has been pulled off well in this App. Once you enter the App try out Mastery mode to get familiar with the game and perfect those hard to pull off shots. When you are used to the intuitive controls head into the challenge area to have a PvP match against real players, or even better add your friends to your buddy list via Facebook and put some chips on the line to prove you’re the ultimate pool shark. Pool Casino’s Mastery Mode compliments the PvP gameplay in Club Mode nicely. Mastery Mode is a great introduction into Pool Casino’s gameplay. Mastery mode starts with the game challenging you to hit easy shots and gradually progresses until you are dared to pull of insane trick shots. Mastery Mode is a great way to sharpen your skills so you can crush your opponents. 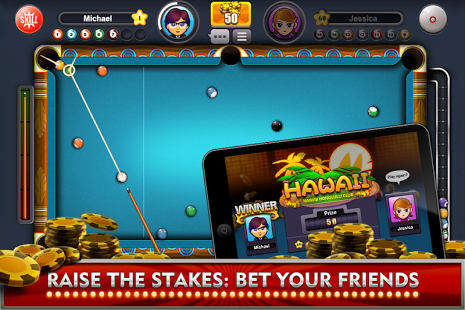 A main focus of Pool Casino is betting your opponents in Club Mode. Pool Casino has a number of cities you can play in including Paris, Tokyo and Old Shanghai. As you progress through these cities you can make larger wagers, the more you play the bigger the bets you can make. 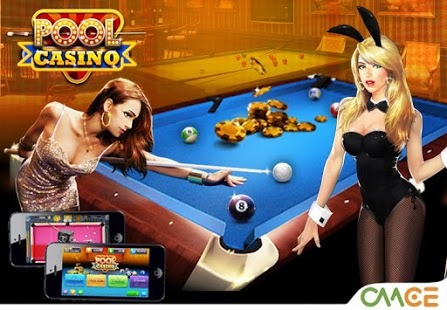 Pool Casino’s user interface is intuitive borrowing popular control methods from other cue sport games. The graphics are great too. Overall Pool Casino is a solid game with a fun betting element. When you play your friends and take all their chips you get the ultimate bragging rights. Hone your skills in mastery mode and put them to use in the Club. If you are looking for a great pool game with a twist Pool Casino is a must. 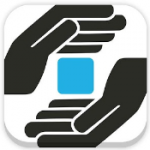 Pool Casino is available for free on Android in the Google Play store. Good: Great gameplay, betting your friends for chips, the tutorial videos in mastery mode. Bad: Sometimes the game hangs.